What happens to the cores of dead stars? If too massive, they collapse to zero radius and become a black hole. Black holes do not shine because light cannot escape. A white dwarf can exceed the Chandrasekhar mass by getting mass from a companion. 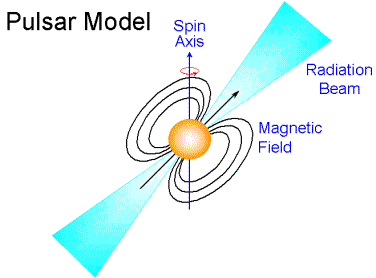 If the mass transferred (mostly hydrogen & helium) is less than the Chandrasekhar mass, a runaway nuclear reaction can happen, but it will be much less energetic and not disrupt the star. This is a nova. ~6 isolated neutron stars seen. Otherwise we see them with their supernova remnants. 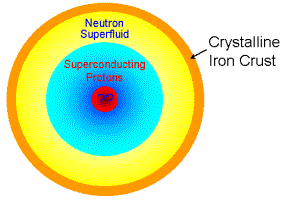 Superfluid of neutrons, superconducting protons, and weirder stuff. Cannot be normal stars or white dwarfs. Strong evidence for neutron stars. Spinning magnetic field generates a strong electric field. Magnetic field accelerates them along the poles. What if the remnant core is very massive? Becomes a BLACK HOLE, Gravity�s final victory.